Add dimension and shine to your handlettering projects with these embossing powders. Perfect for creating one of a kind cards, tags, notebooks and more. Stamp or write with the Perfect Medium ink pad or pens and then simply add your choice of powder and heat using the Ranger Heat It Craft Tool or Embossing Tool to melt or set the powder. Pens, ink pads and the heat tool are available separately. 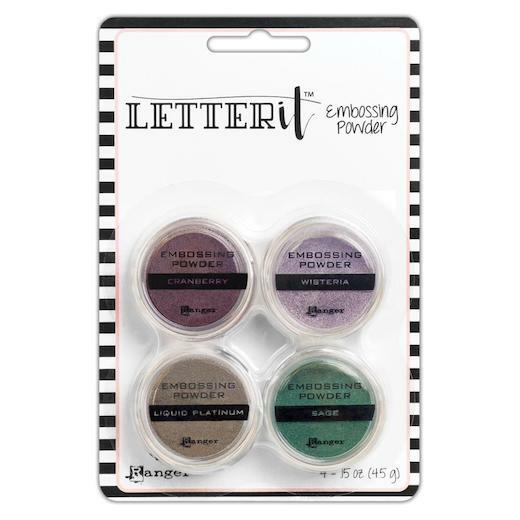 This package contains four 0.15oz containers of embossing powder in assorted colours.